A highly integrated multifunction calibrator featuring several patented technologies. 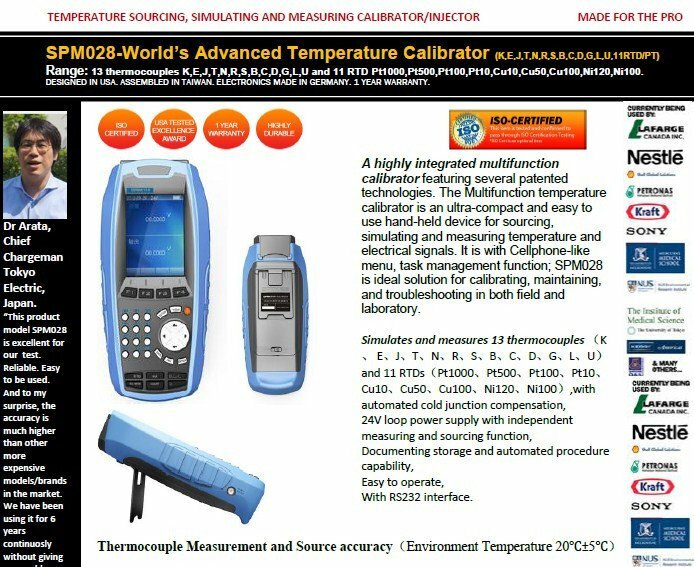 The Multifunction temperature calibrator is an ultra-compact and easy to use hand-held device for sourcing, simulating and measuring temperature and electrical signals. 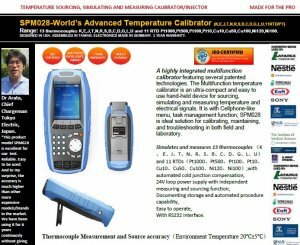 It is with Cellphone-like menu, task management function; SPM028 is ideal solution for calibrating, maintaining, and troubleshooting in both field and laboratory.